Why Are Poor Americans Dying So Much Earlier Than Rich Americans? A study finds widening gaps in longevity between people at the far ends of the economic ladder. That means high earners are reaping more and more of the benefits of Social Security. For a poor woman born in the Roaring Twenties, getting to age 50 was something of an accomplishment. She had to contend with diphtheria and tuberculosis, hookworm and polio, not to mention childbirth, which killed about 800 women for every 100,000 births at the beginning of the decade. Widespread use of penicillin to treat infections was still 20 years away; Medicaid, four decades. If she did make it to 50, on average she would live to be 80 years old. That sounds pretty good, until you consider that the richest women born at the same time lived about four years longer. "A growing body of evidence that there is a widening gap in health between the haves and have-nots." Americans have become much healthier since then, generally speaking, thanks to scientific advances, higher living standards, better education, and social programs. 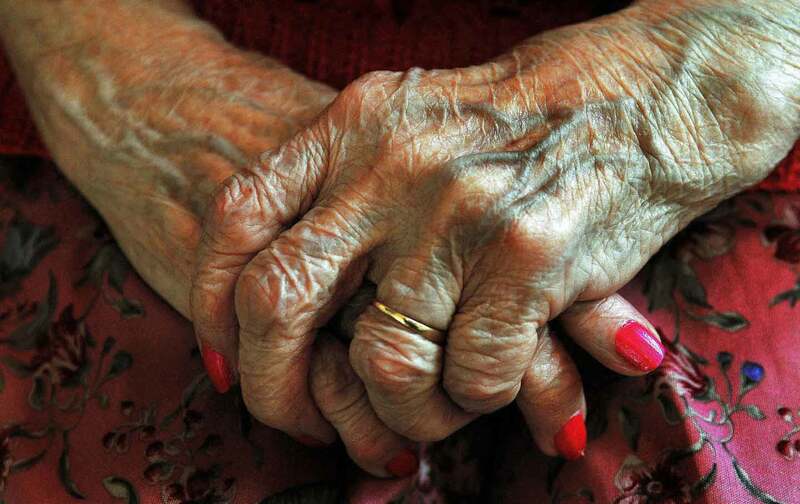 Life expectancy hit a record high in 2012. But as with economic prosperity, gains in physical health haven’t been spread equally. Instead, they’ve been increasingly skewed towards the wealthy—and a new analysis from the Brookings Institution indicates gaps in lifespan between the rich and the poor are getting worse, not better. Using data from the Social Security Administration and other government records, the report compares the lifespan of people born in 1920 and in 1940 who were in either the top or bottom ten percent of wage earners. It turns out that rich men born in 1940 can expect to live 12 years longer than the poorest, compared to a six-year gap between rich and poor men born in 1920. The disparity in life expectancy between women at the top and bottom more than doubled, growing from four to ten years. In fact, women at the bottom saw no increase at all in their life expectancy. The difference continued to grow between rich and poor people born in 1950. The Brookings analysis “adds to a growing body of evidence that there is a widening gap in health between the haves and have-nots in the country,” said Steven Woolf, director of the Center on Society and Health at Virginia Commonwealth University. It’s been clear for some time that how long Americans live depends on how much money they have, even their zip codes. What the Brookings study adds is evidence of the problem getting steadily worse. As for how socioeconomic inequalities translate into inequities in life span, “It’s rather mysterious,” said Lisa Berkman, the director of the Center for Population and Development Studies at Harvard University. One answer is that low-income people tend to be sicker in the first place, because the neighborhoods they can afford to live in are more polluted; because they can’t afford to adopt and maintain healthy behaviors; because they can’t afford health insurance premiums, copayments, and prescription drugs. Woolf accounts much of the disparity in death rates to what he calls “stress-related conditions.” People who aren’t secure economically are likely to experience high levels of stress, which studies have linked to shorter lifespans and a heightened risk of death from strokes, heart attacks, and other illnesses. “We’re seeing a dramatic increase in deaths from opioids, whether we’re talking about prescription painkiller or heroin, but also from suicides, liver disease, and other conditions that I personally feel come from different ways that people are coping, in an unhealthy way, with the stresses that they’re facing in their daily lives,” Woolf said, particularly since the recession. Smoking, the leading cause of preventable death, takes a particularly costly toll on low-income people. means that high-wage workers will collect pensions for progressively longer periods, even as low-wage workers see little improvement in life expectancy. That gap, when taken together with the rise in average retirement ages since the early 1990s, means the gap between lifetime benefits received by poor and less educated workers and the benefits received by high-income and well educated workers is widening in favor of the higher income workers. In other words, one of the programs that’s specifically intended to help poor Americans through retirement isn’t really working to their benefit anymore. To Berkman, that suggests the need for reform tailored to different groups—people who’ve worked physically demanding jobs, for instance, need a different sort of retirement security than wealthier people who are in good health able to work longer.